As the first haircare range built specifically to create heat-safe and frizz-free blowouts for all types of colour-treated hair, NEW! 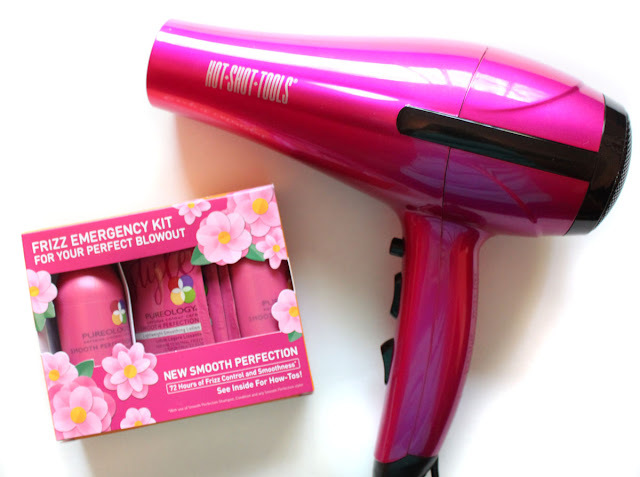 Smooth Perfection protects hair from colour-distorting effects caused by heat tools to provide long-lasting at-home blow dry results and 72-hour frizz relief. Finally create a blowout that has the desired amount of control and manageability, while protecting the integrity of the hair. For frizz-prone colour-treated hair this shampoo features advanced smoothing micro-emulsion technology, smoothing oils of camellia, sesame and shea butter, and the exclusive Thermal Anti-Fade Complex to prevent colour fade. The conditioner features the conditioning plant extract of geranium. I have been alternating this duo with the Pureology Gold on days when I know I will need something for frizz. Both of these smell amazing! It doesn't weigh down my hair and gives a smooth moisturized feel to the hair. Smooth Perfection Lightweight Smoothing Lotion For fine to normal frizzy colour-treated hair. 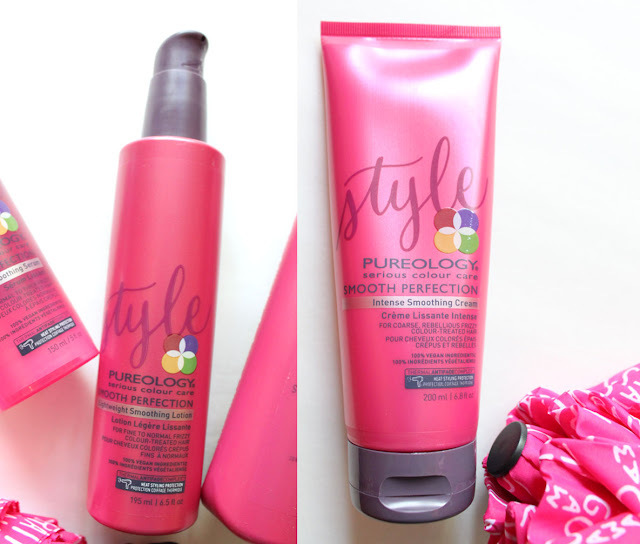 Provides smoothness, frizz control and helps protect from heat-styling damage. This was my favorite product in the Smooth Perfection line! 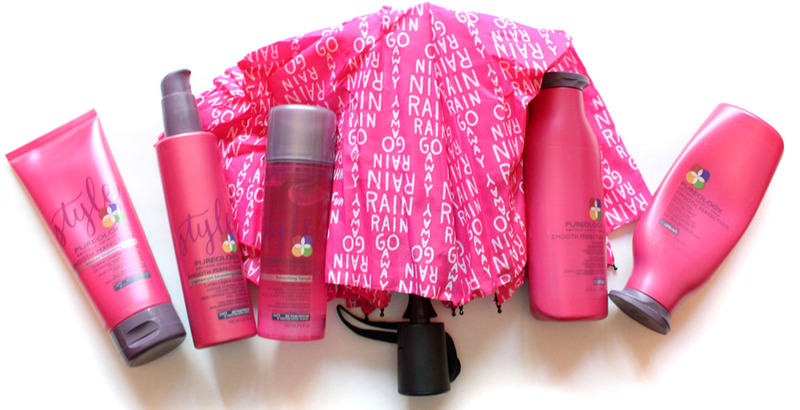 It is so multi-purpose because it's a leave in conditioner, excellent detangler, and a heat protectant. 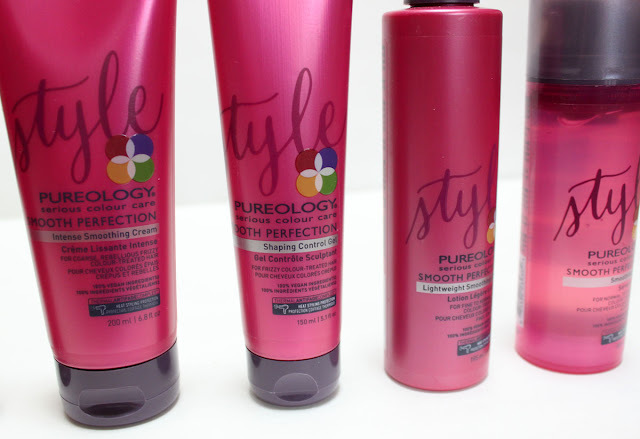 Kudos to Pureology for creating two products dedicated to different hair types. 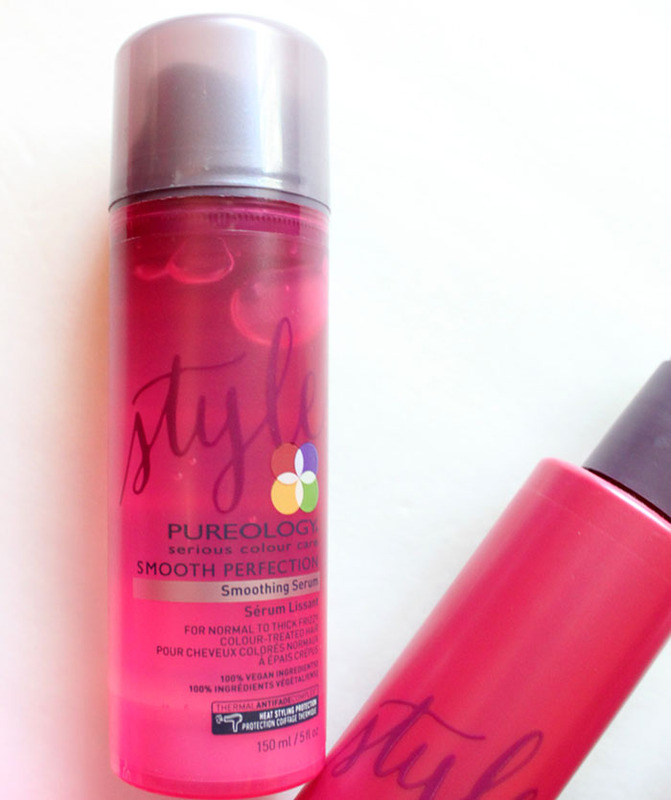 Having fine hair leave-in conditioners can weight my hair down but not this one. Smooth Perfection Intense Smoothing Cream For coarse, rebellious frizzy colour-treated hair. Controls frizz and unwanted volume with smoothness, and helps protect from heat-styling damage. This smoothing cream is the more intense version of the Smoothing Lotion. I use this in extreme situations but it can be too heavy for my hair. Those with thick coarse hair this one is for you. Smooth Perfection Frizz-Fighting Serum For normal to thick frizzy colour-treated hair. Provides smoothness, frizz control and helps protect from heat-styling damage. This serum provides a great frizz-free shine. It takes only the smallest amount to get the job done. Most serums come in tiny bottles so it's great to have a big bottle! 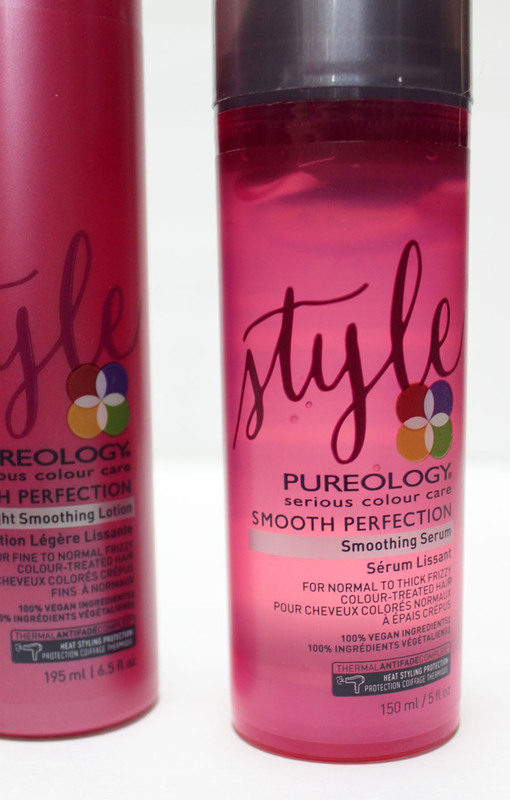 Smooth Perfection Style Shaping Gel For frizzy colour-treated hair. 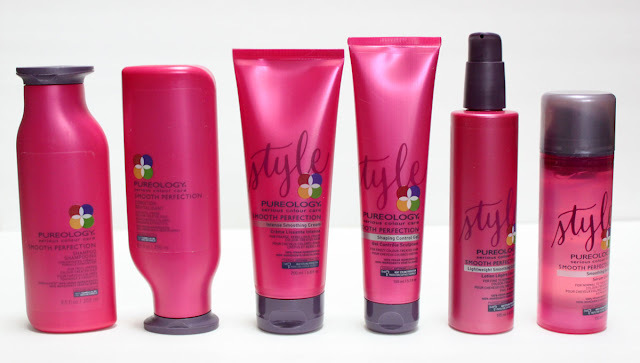 Provides smoothness and helps protect from heat-styling damage. I don't use gel but when I did wear my hair curly back in the day I know just how much it helped keep curls looking sleek and not out of control. Smooth Perfection is a line I will be keeping in rotation for days I look outside and think yep it's going to be one of THOSE days. The shampoo & conditioner are excellent and I loved the Smoothing Lotion so much that I have kept it in the daily hair products that are must use. 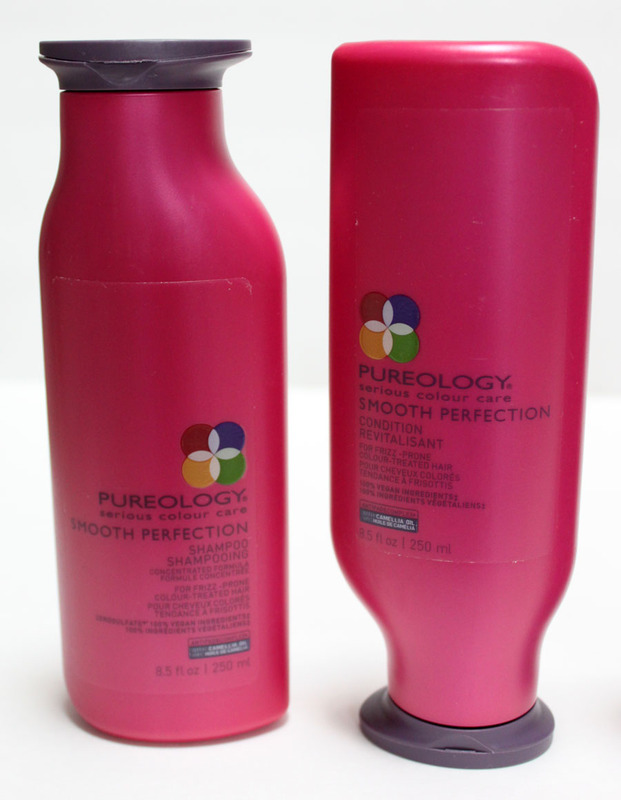 Get Pureology Smooth Perfection Line at ULTA or visit Pureology.com for the salon locator.